Contradictory accounts of Alekhine’s death are rife, and here we present the main evidence and miscellaneous related claims. ‘On 24 March a radio newsflash announced the death of world champion Alexander Alekhine at the age of 53 in Lisbon [sic]. First reports ascribed his death to a heart ailment, but a subsequent autopsy disclosed that death had been caused by “asphyxia due to an obstruction in his breathing channels due to a piece of meat”. 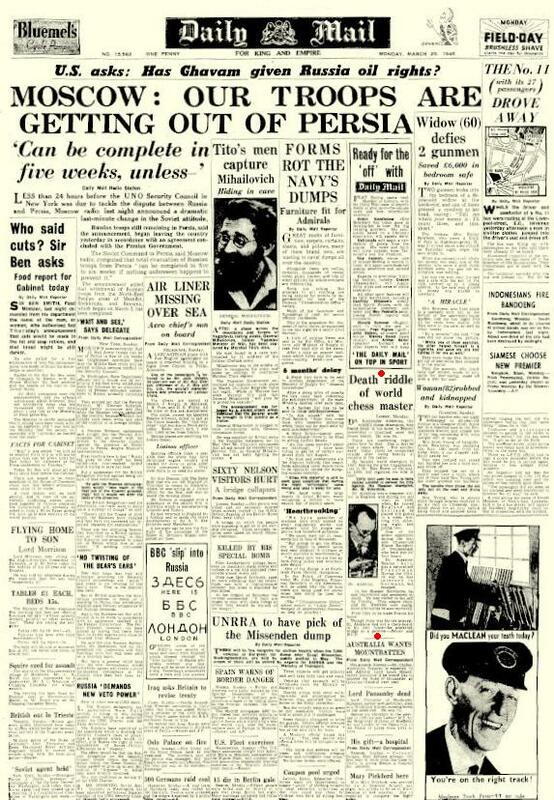 It emerged (as discussed below) that the photograph in CHESS was not the only one. The unbecoming account of Alekhine’s table manners was immediately disputed by people who had eaten with Alekhine in past years. See, for instance, pages 1-2 of the 1 April 1946 Chess World, quoted on page 280 of A. Alekhine Agony of a Chess Genius by P. Morán. We have no reports on file from the Portuguese press, but on page 35 of their book Schachgenie Aljechin H. Müller and A. Pawelczak quoted from the newspaper O Século. This stated that on the evening of Saturday 23 March Alekhine’s meal was brought to his room and he asked not to be disturbed before 11 o’clock the following morning. At that time a chambermaid found his body. All I know is that on Sunday morning about 10.30 I was awakened and asked to hurry to Estoril, because something had happened to “old Dr Alex”. I entered his room together with the Portuguese authorities. There he was, sitting in his chair, in so calm an attitude that one would have thought that he was asleep. There was only a little foam at the corner of his mouth. The medical verdict as to the cause of death – that a piece of meat had caught in his throat – had no meaning for me. 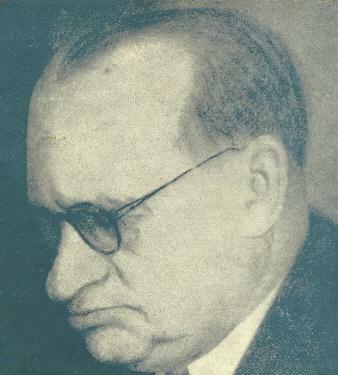 ‘I was present at Alexander Alekhine’s autopsy, which took place in the Department of Legal Medicine, of the Medical School of the University of Lisbon. Alekhine had been found dead in his room in [an] Estoril hotel under conditions that were regarded as suspicious and indicated the need of an autopsy to ascertain the cause of death. See also, with all due caution, page 37 of With the Chess Masters by G. Koltanowski for a further passage by Dr Ferreira. 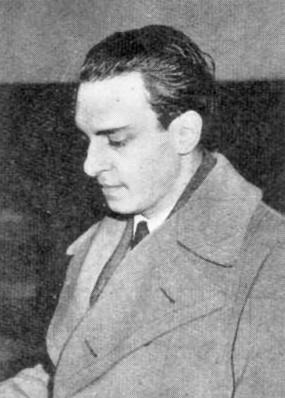 According to Morán’s book (page 281 of the English edition) at the time of his death Alekhine was analysing and annotating a game between A. Medina and A. Rico in the 1945 Spanish Championship in Bilbao. Even so, in the photograph of Alekhine’s body all the pieces were on their starting squares. Nonetheless, we note that the Müller and Pawelczak book on Alekhine (see the photograph caption opposite page 272) stated that he was staying at the Hotel Palace in Estoril, which we take to be the Hotel Palácio, i.e. an establishment of some standing. We shall be grateful if any correspondents, not least in Portugal, can help us piece together more information on any aspects of Alekhine’s death. The above account was presented in C.N. 3057, and we reverted to the subject in C.N. 3086. The full text is given below. After the appearance of C.N. 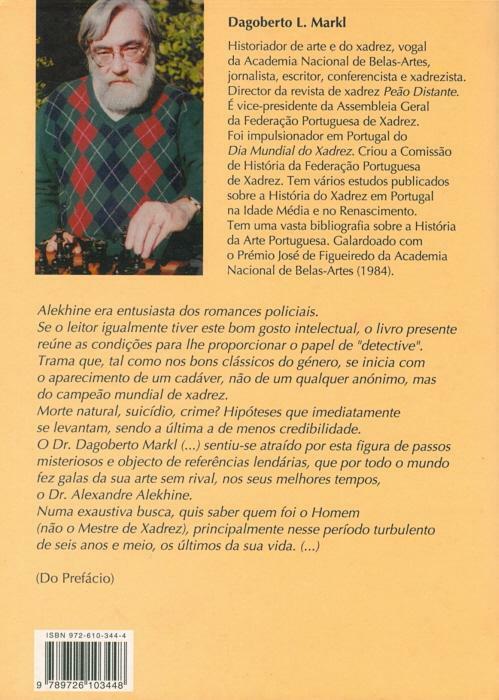 3057 Luís Costa, the President of the Portuguese Chess Federation, wrote to us about a book published in September 2001 by Campo das Letras, Porto, Portugal, Xeque-Mate no Estoril by Dagoberto L. Markl. Having now procured a copy, we revert to various points raised by our correspondent. Firstly, Müller and Pawelczak’s book misidentified the hotel in which Alekhine died. Although he usually stayed at the Estoril Palácio Hotel (which still exists today and has an Alekhine Room), from 5 January 1946 onwards he was at another establishment in Estoril (demolished many years ago), the Hotel do Parque. Professor Markl’s book includes a photograph of the hotel registration form completed by Alekhine upon arrival, as well as a reproduction of his official death certificate, which specified the Hotel do Parque as the place of death. As regards the photographing of Alekhine’s corpse, Professor Markl’s book reproduces a letter written on 24 March 1946 by Luís C. Lupi to Robert Bunnelle of the Associated Press in London. In quoting it below we have corrected the spelling but not the syntax. Herewith please find four (4) negatives and three prints of EXCLUSIVE ASSOCIATED PRESS PHOTOS taken by me. They are ALEXANDER ALEKHINE last photographs. I took these pixs with a small camera that I borrowed in the Hotel Park in Estoril where I rushed to cover the Alekhine death story – without my own camera! This is why they are not so good. For captions suggest you use (if you will use these gruesome pixs…) and rewrite my messages of 23/3 slugged 01230 and 02345. Will you have a couple of prints on these negatives (a couple of each, please)? ‘A careful comparison shows that some objects (papers near the vases) are absent from one of the shots. 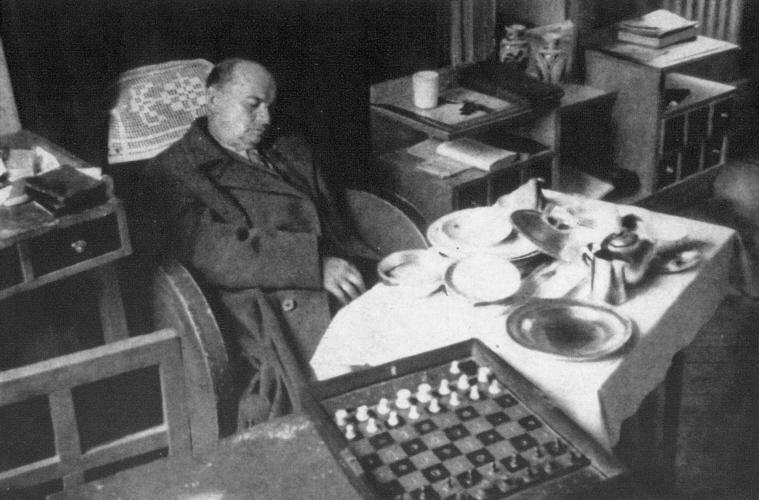 There are at least four photographs of Alekhine’s death. We have found only two in Portugal. As noted in Luís Lupi’s letter, the negatives were sent to the Associated Press in London, so it is only in their archives that it may be possible to find them. The photographs were composed, as it is now an undisputed fact that the chessboard was placed there for the purposes of the shots. 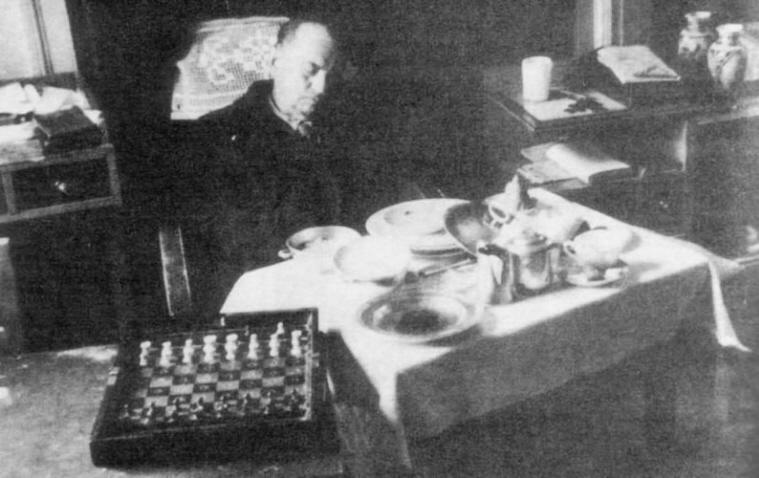 A few days after Alekhine’s death Francisco Lupi gave Rui Nascimento (a chess composition master and a strong chess player at that time; he is still alive) the better known “last” photograph of Alekhine. Francisco Lupi pointed to the chessboard and told Rui Nascimento that it had been put there by Luís, his stepfather, before he took the photographs. We do not feel at liberty to reproduce extensively the research presented in Xeque-Mate no Estoril, but a general description of the book’s contents may be useful. 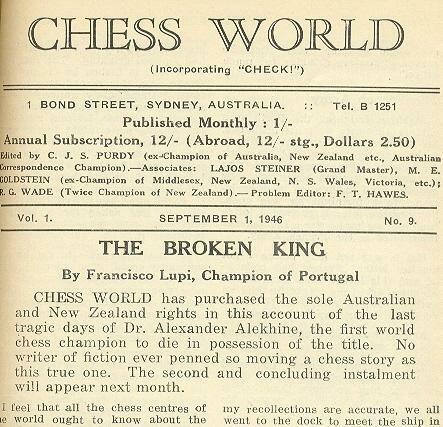 The most important part relates Alekhine’s visits to Portugal from 24 January 1940 onwards and supplies considerable documentary detail on the world champion’s last weeks and, in particular, the circumstances of his death. Along the way, the wildly inaccurate statements of writers such as Kotov and, especially, Bjelica, are criticized and mocked. João Pedro S. Mendonça Correia (Lisbon) reverts to the circumstances of Alekhine’s death. 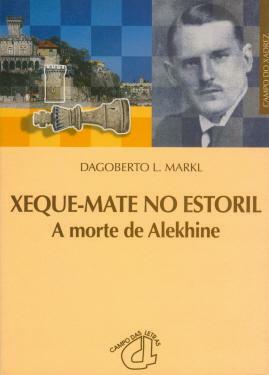 We have mentioned that Xeque-Mate no Estoril by Dagoberto L. Markl (Porto, 2001) reproduced, opposite page 113, Alekhine’s death certificate (Registo de Óbito). 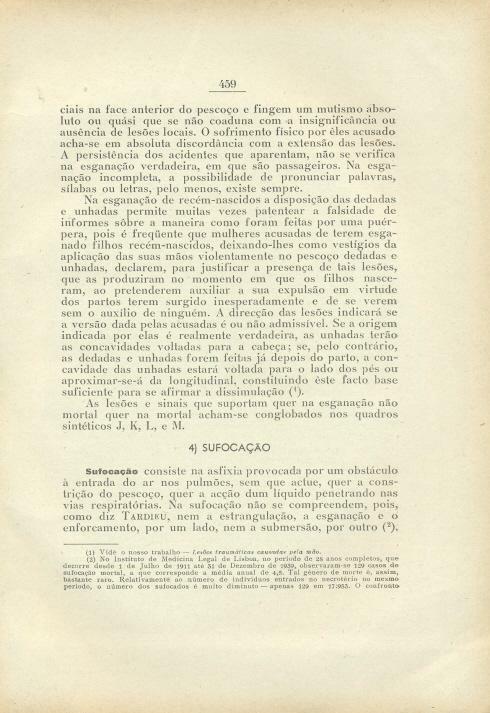 Dated 27 March 1946, the document gave as the cause of death ‘Asfixia por obstrução dos vasos aéreos superiores produzido por pedaço de carne’ (Asphyxia resulting from obstruction of the upper air passages produced by a piece of meat). 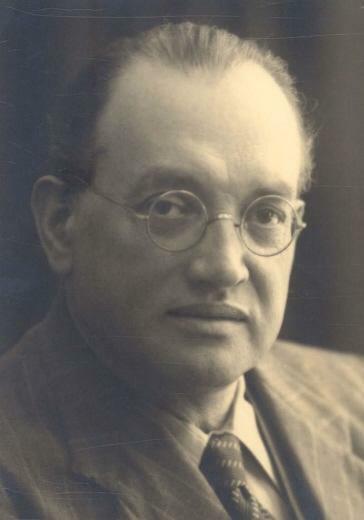 ‘Born in Lisbon on 15 August 1883, Asdrúbal António d’Aguiar was Portugal’s leading expert on forensic pathology. He died in Lisbon on 28 November 1961. Further information is available at a webpage of the Academia das Ciências de Lisboa. 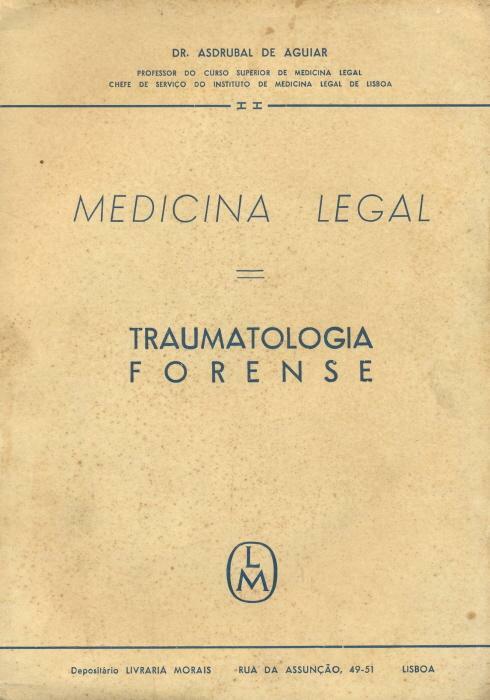 The writings of Dr Asdrúbal d’Aguiar included an excellent three-volume treatise on forensic pathology (over 1,500 pages), published in Lisbon during the Second World War. The first volume is about forensic traumatology and has a learned, lengthy treatment of suffocation from page 459 onwards. Dr Mendonça Correia informs us that Dagoberto L. Markl died in Lisbon on 4 April 2010. Addition on 11 August 2013: Dan Scoones (Port Coquitlam, Canada) draws attention to a photograph which shows that the Hotel do Parque and the Palácio Hotel stood side by side. 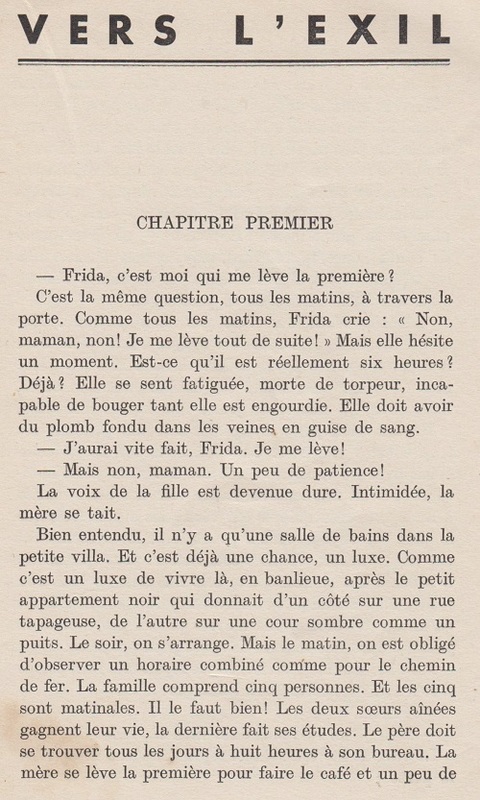 A copy of Vers L’Exil by Margareth Sothern (Paris, 1939), translated by Juliette Bertrand, was allegedly found beside Alekhine’s body in Estoril in 1946, and a number of C.N. 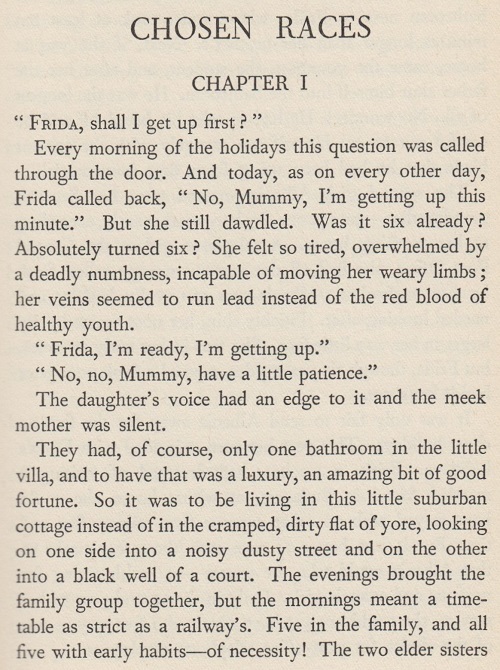 items have discussed the book and its English edition, Chosen Races (New York, 1939). In the latter volume, a translation by Maisie Ward, the author’s forename was spelled ‘Margaret’. In the Russian original the passage is on page 245. Page 109 of Das Spiel der Könige by Alfred Diel (Bamberg, 1983) stated that Alekhine died in Lisbon on 25 March 1944. See also the references to Margareth/Margaret Sothern in the Factfinder. Latest update: 14 April 2019.